Peppers and aubergines may not count as exotic in many gardeners' minds but they count as exotic for us. 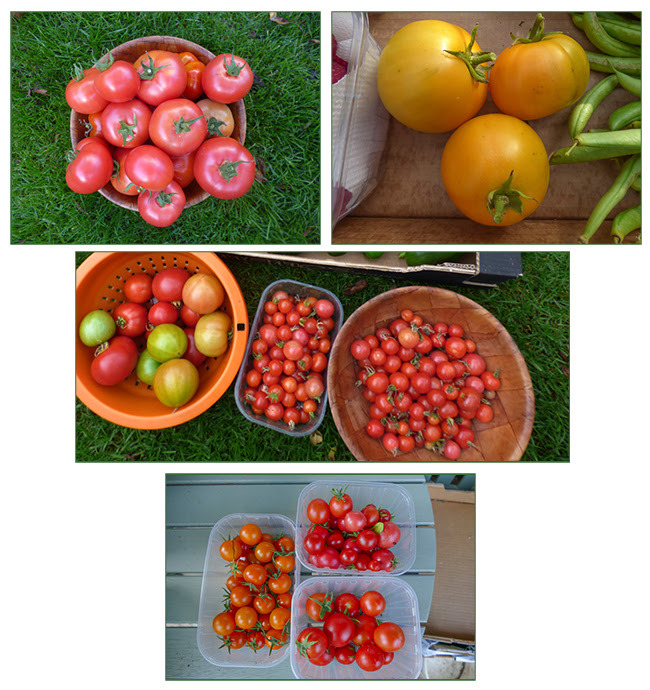 Last year with it's general lack of warmth and sunshine wasn't the best year we have had for growing them but at least we did manage a harvest. 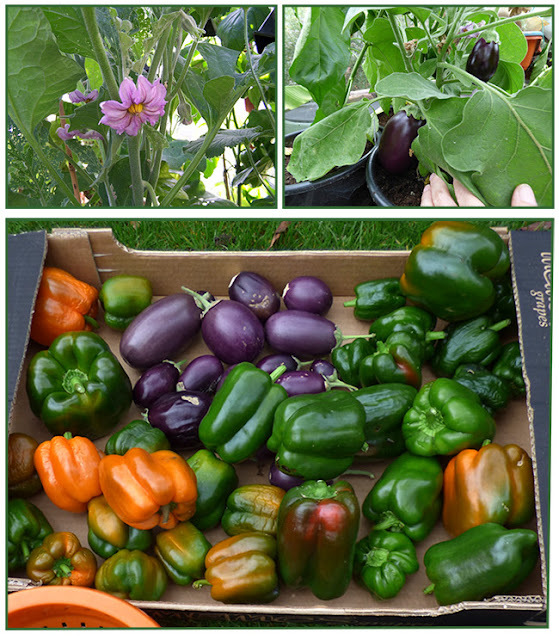 The peppers never actually made it to red and most of the aubergines were fairly small but fortunately the variety that we grow - Jackpot can be harvested whilst small. We grow these plants in our garden greenhouse where the aubergines make an attractive display. We will be growing King of the North and Orange Bell this year as they have suited us in a normal summer. Now for the ordinary - salad crops. This year we decided to grow most of our salad crops in our Woodblocx raised bed in the garden. This decision was a success and we just popped up the harden and picked salad leaves whenever we wanted. 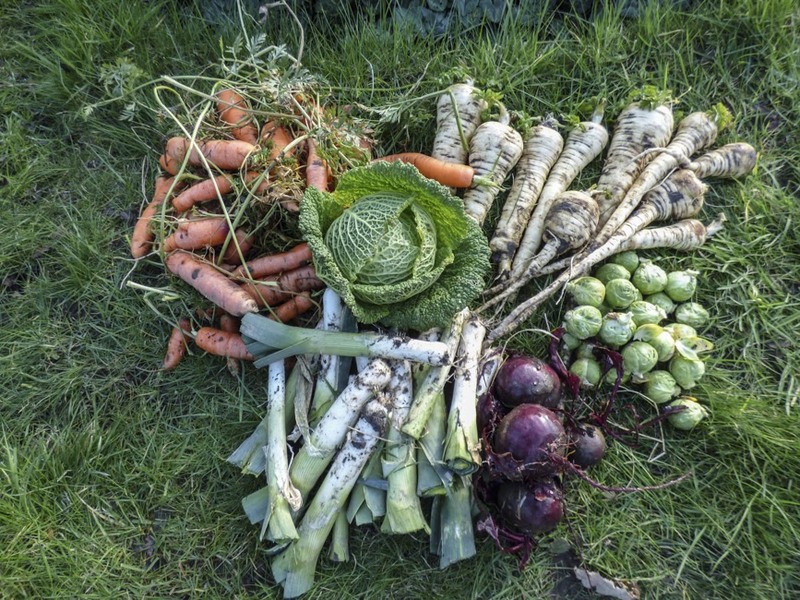 As we picked in small amounts we didn't weigh or record these harvests but we were picking on a daily basis. We sowed packets of all sorts of salad leaves so I won't list them. It was the same with the mini cucumbers which we were picking daily. 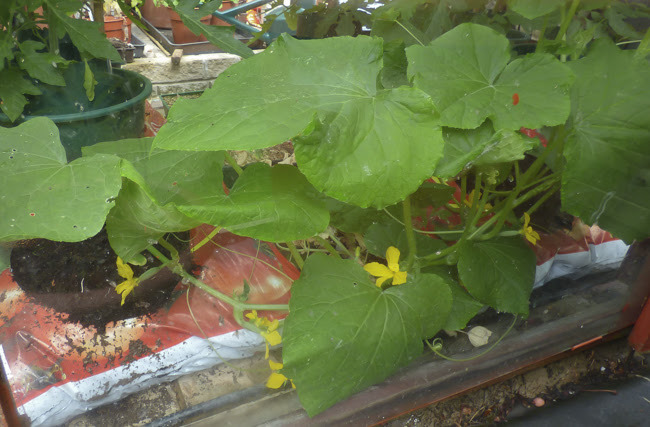 The plants were grown in the garden greenhouse and cold frames. The small fruits were just the right size to mean that we had a fresh one each day. We grew Cucino and Mini Munch last year but the plants became mixed together and so we can't compare yields. This year we have bought just Mini Munch seeds. It was useful growing radishes in the raised bed as when we grow them on the plot we usually forget to pick them. 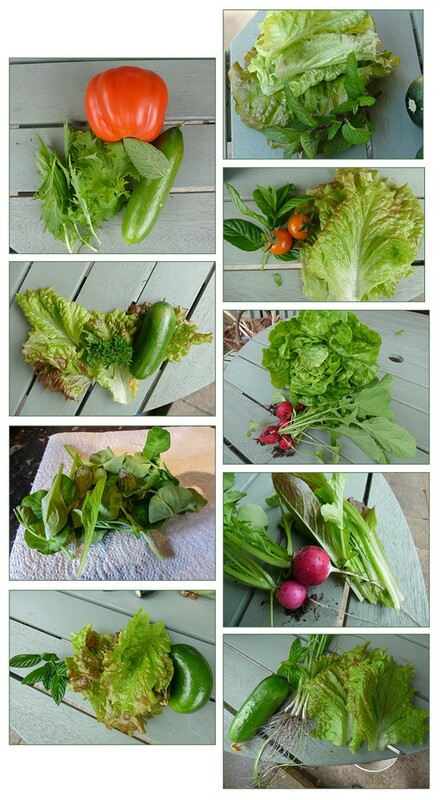 We didn't put all of our eggs in one basket and also grew some lettuces and radishes on the plot. These are the ones recorded in the above chart. 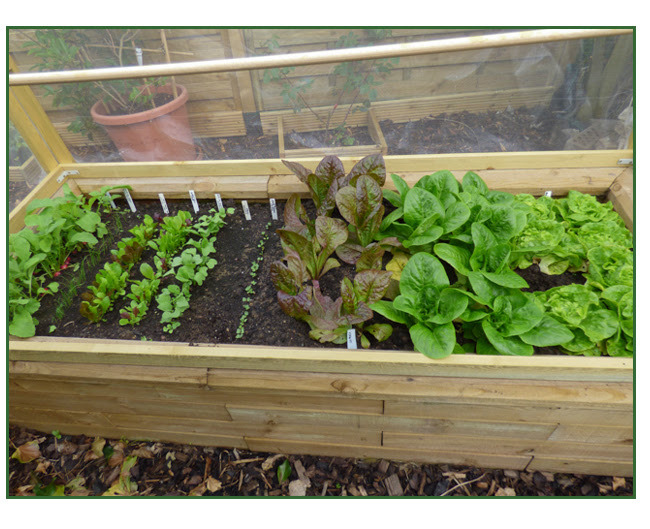 We will grow salad crops in the raised bed next year to provide fresh pickings. 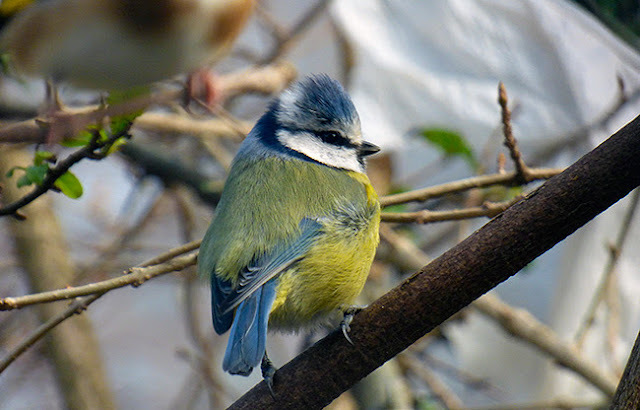 So far we have bought Little Gem seeds but we also have lots of seeds left from last year. We always end up with more tomato seeds than we intend as after our orders come in there is an inevitable influx of free seeds that we just can't resist sowing. We set out with good intention to compare the fruits but somewhere along the line things become confused. 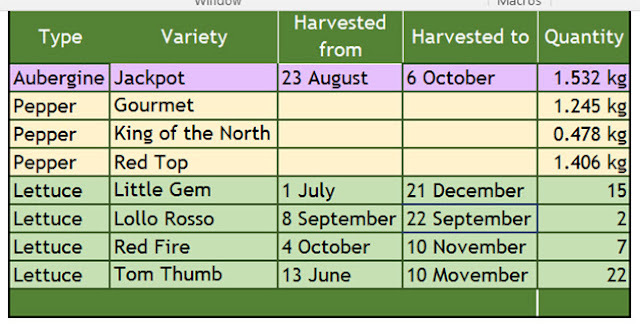 I have created a couple of tables the first being a harvesting schedule. It is difficult to compare yields as we had differing numbers of plants and also the fruits of some are naturally larger than others. 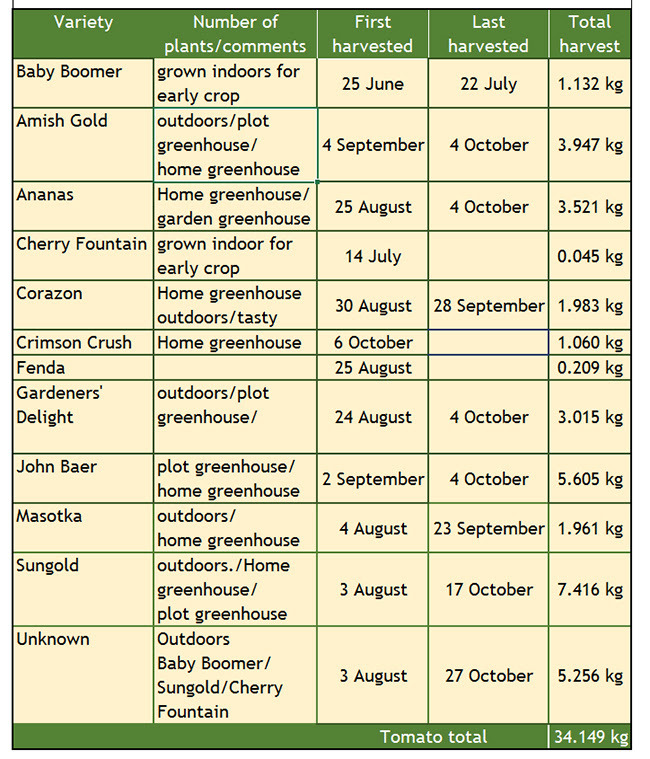 If the number of plants was the only problem then I could work out an average harvest per plant but we had a problem in that towards the end of the season the plants especially those planted outdoors merged together and it was difficult to determine which plants we were harvesting from. Hence the row of unknowns. 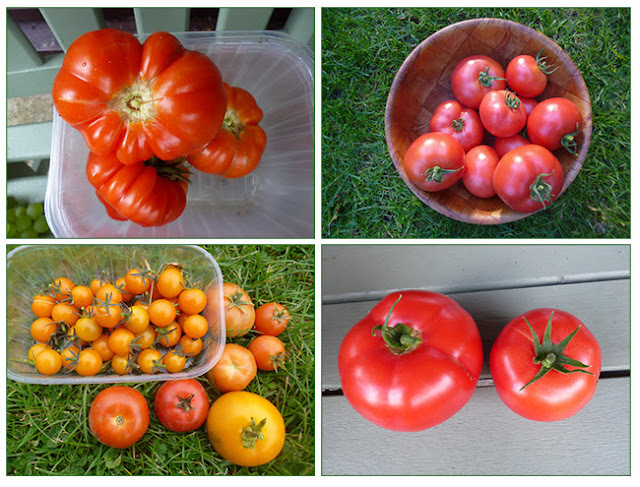 Most of the varieties produced the small bite-sized tomatoes that we like. The yellow Sungold and red Gardeners' Delight are firm favourites. It was difficult to assess flavour as I think the lack of sunshine affected this. 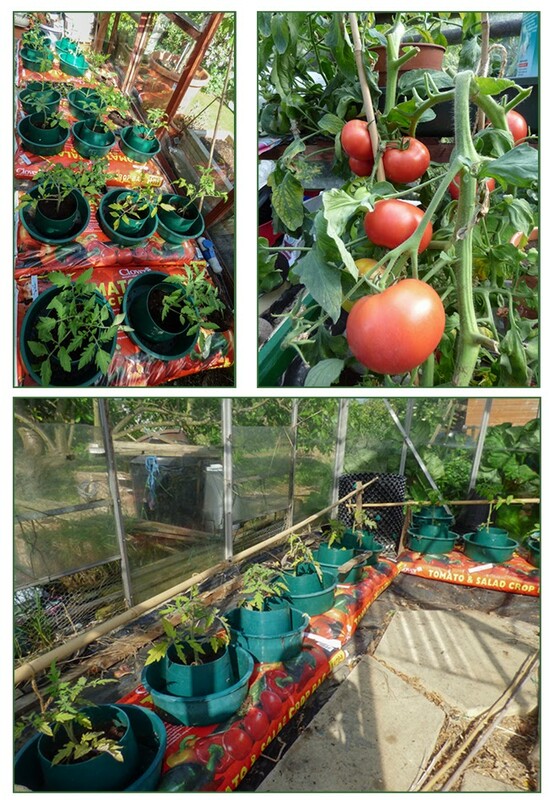 We grew tomatoes in three different locations, in the garden greenhouse, the plot greenhouse and outdoors. As a general observation the outdoor plants ripened first, then the plot greenhouse and lastly the garden greenhouse. 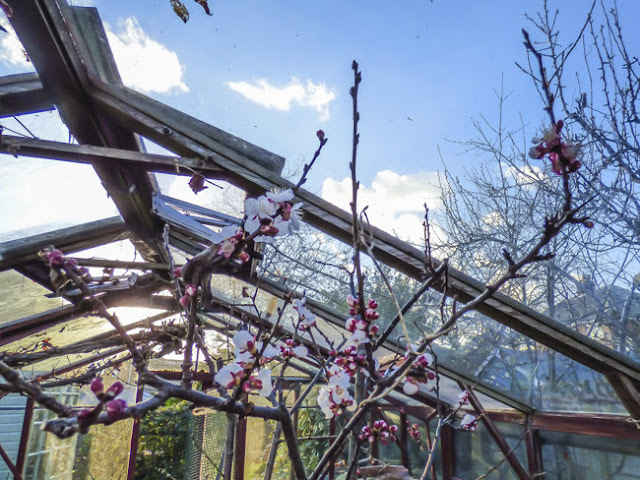 Did the plants outdoors benefit from more light in what was a dullish period, did the smaller closed up plot greenhouse warm up more than the much larger garden greenhouse that usually had the door open? It's hard to say. The plants were much healthier this year which we put down to the different Clover grow bags. The biggest surprise was the from the tomatoes planted outdoors. These were really the leftover, weakest looking plants that would usually have been composted. 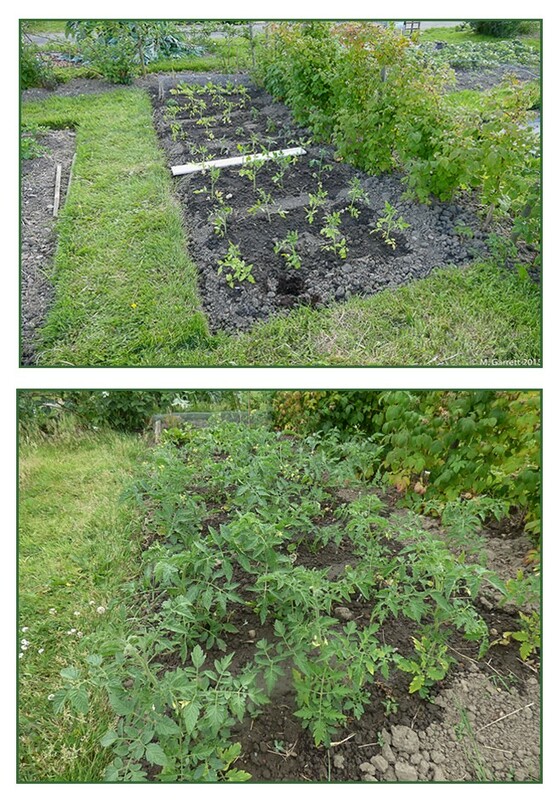 This year we decided to risk blight and plant then in a bed on the plot. It must have been some form of divine inspiration as we were blight free and the plants produced a really good harvest. Maybe another year the plants would be devastated but if nothing else it shows that if you have space it is worth planting some tomato plants outdoors especially if the alternative is to compost leftovers. We are trying to be restrained but no doubt some others will sneak into the mix. PS We have just added Cherry Fountain as we realised we hadn't ordered a patio type variety. 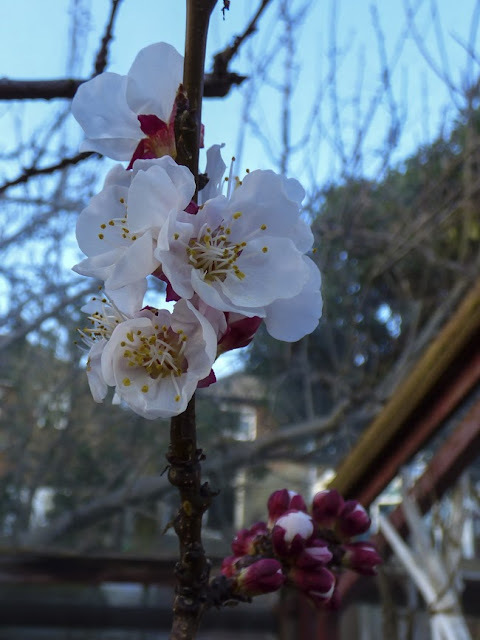 Apricot flowers - time to make like a bee. We have a large magnolia tree at the side of out house and so the area under it is very shaded in late spring and summer. 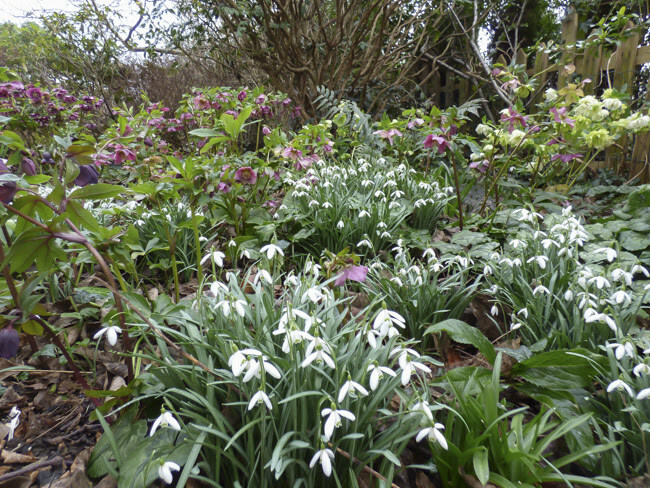 For this reason the underplanting is very much based on late winter/early spring flowers. 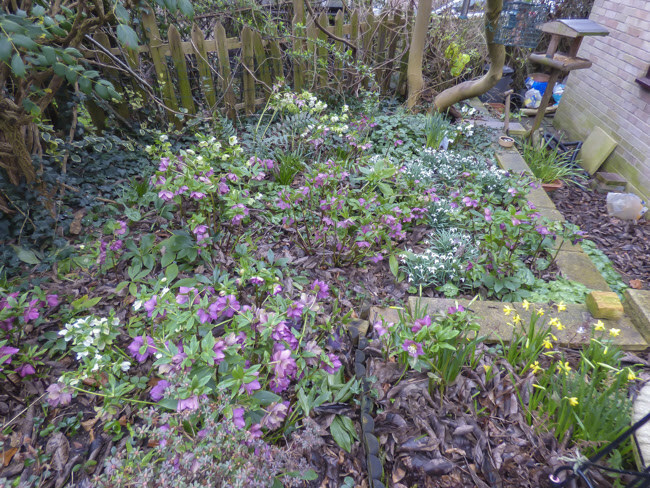 Another reason for the spring planting is that this area is overlooked by two of our windows and so we can enjoy the garden even when the weather prevents us from being outside. The snowdrops have joined the hellebores and burst from their buds. Some of the miniature daffodils planted around the bird bath are also now flowering with more buds opening and adding to the display each day. 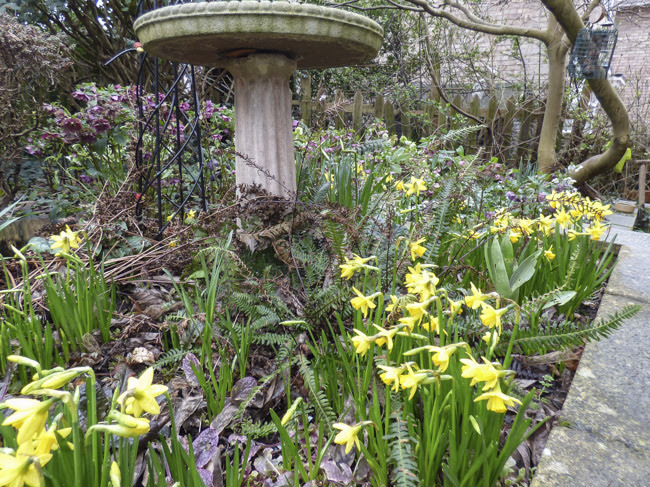 The bird bath and the bird feeding area close to the windows also add to the interest and provide plenty of photo opportunities. An update for those of you interested in my continuing eye saga. For those of you who are not - look away now. I have finally received my refunds - the one for my proposed surgery was received last weekend. It has taken two months for some reason. Maybe they had such a large number of refunds to make or were they just hanging on to my money for as long as they could? In the end it took just a phone call for them to ask for a card number to refund the payment to - as simple as that so why the delay? 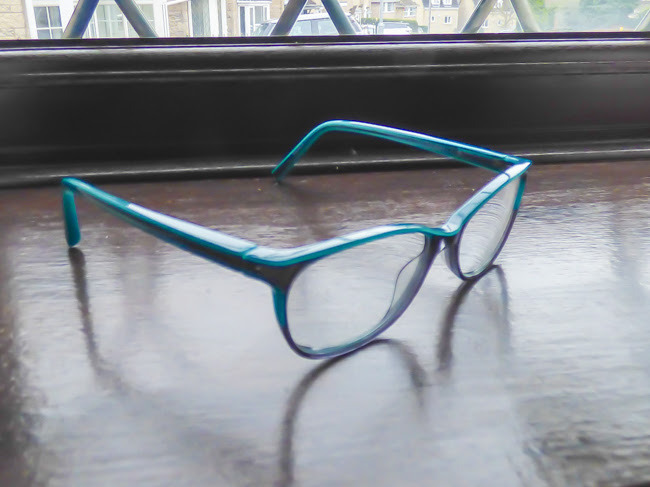 The chain that supplied my thick lensed glasses were much more accommodating they exchanged the offending glasses for a full refund and compensated me for having to pay for a new eye test. We met with a relief manager and had a long conversation during which we felt that she was really listening to my feedback and wanted to try and ensure that other people received a better service. To be fair I was impressed by their response especially as I had worn the glasses four or five months. 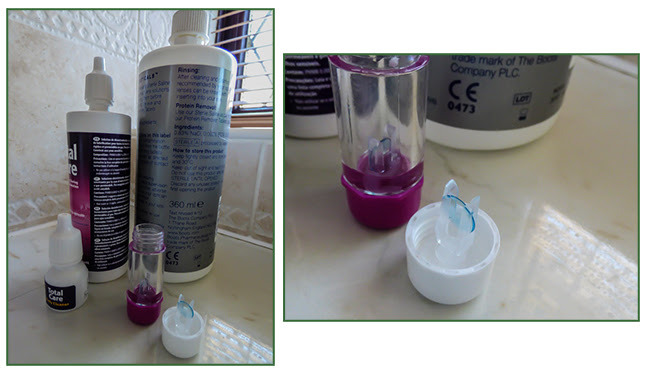 I now have some new contact lenses which I can manage to wear for between 8 and 13 hours during a day. This depends on how dry my eyes become. The vision and fit are good so it's just a case of getting on top of the dry eye problem. This is less problematic when outdoors as I don't think having central heating on helps. According to my optician if the conditions will dry washing it will dry eyes. I have to go back for a check in three months time. I have also bought some funky glasses to wear with my lenses for reading and computer work. Martyn got some quite funky new glasses too. Fingers crossed now that my dry eye problem will keep improving. 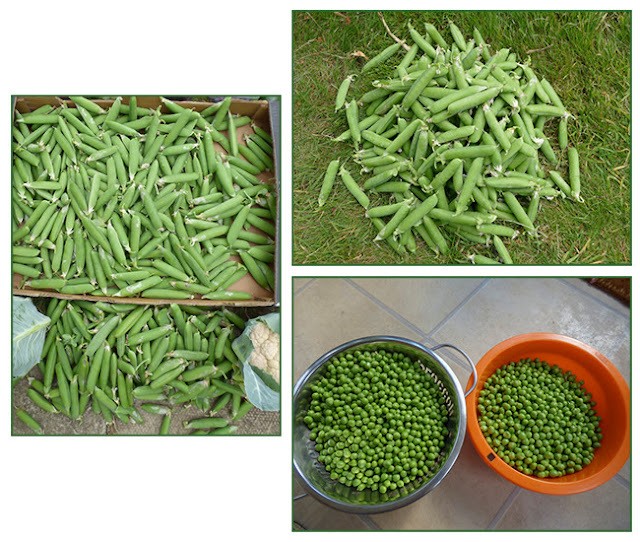 We like to have as many peas as possible as we eat them raw in salads as well as a cooked vegetable and also like to have plenty to freeze. I don't think shop bought frozen peas come anywhere near the taste of those that you grow but you do need the space to grow sufficient plants to give a good harvest. Our pea performance was very varied last year. On top of that we grew some pea shoots which don't feature on the chart. Just like for the beans, we grow our peas through weed control fabric but for peas we cut a flap in the fabric and fold it back. 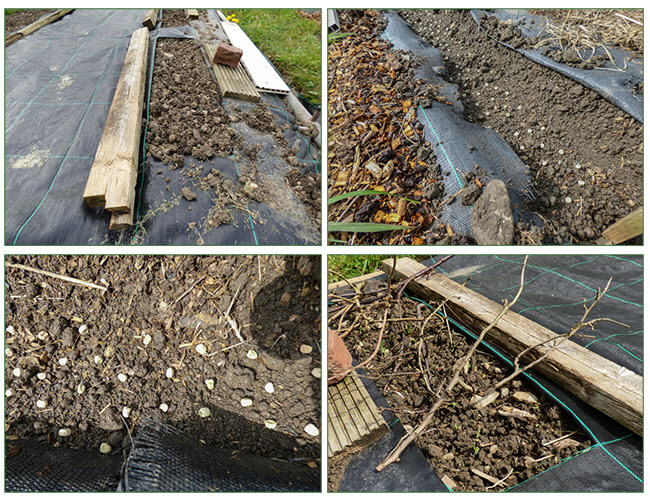 A shallow trench is dug and then plenty of pea seeds are scattered in the trench - generally more than is recommended on the packet. 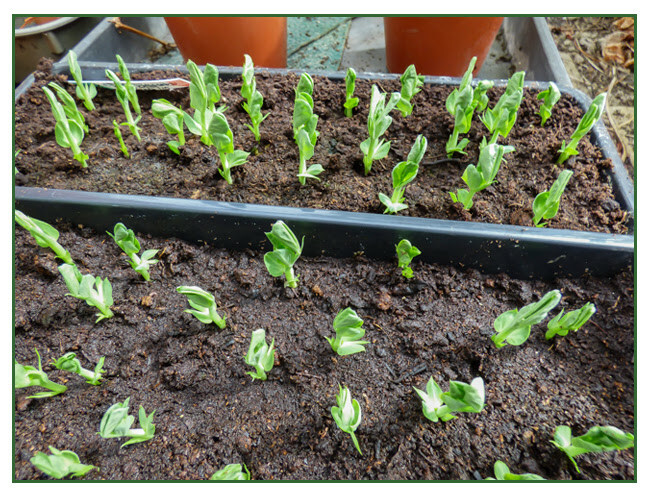 Just like broad beans peas suffer from weevil attack and so by sowing plenty of seeds we have a better chance of having enough plants survive. We have tried growing them to transplant but haven't found this to be successful. Once the peas begin to emerge we lay hazel twigs across the rows to deter birds. Surprisingly it seems to work, I don't think the birds like how the sticks move when they land on them. 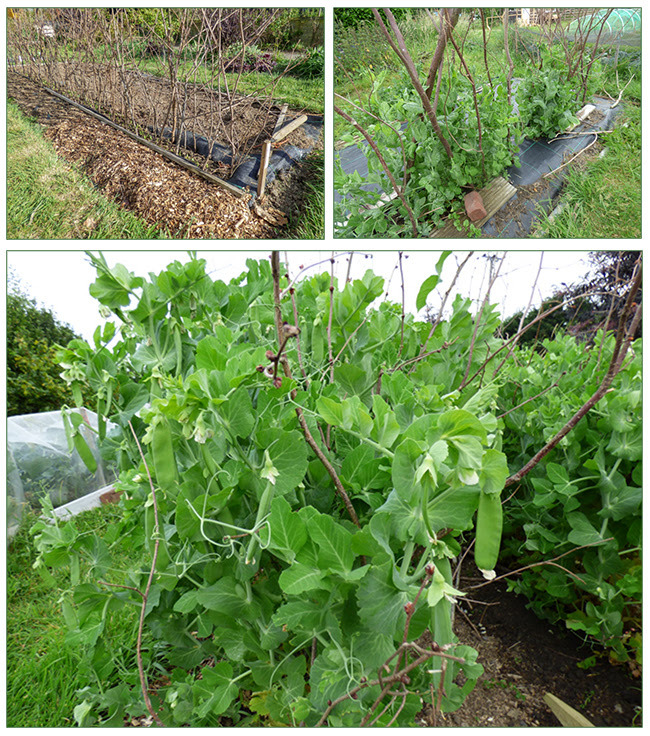 Once the peas are growing well we add willow branches as supports. We have a couple of large willow bushes on the plot and we cut one back very hard every year. This method of staking has so far been the most successful by far. 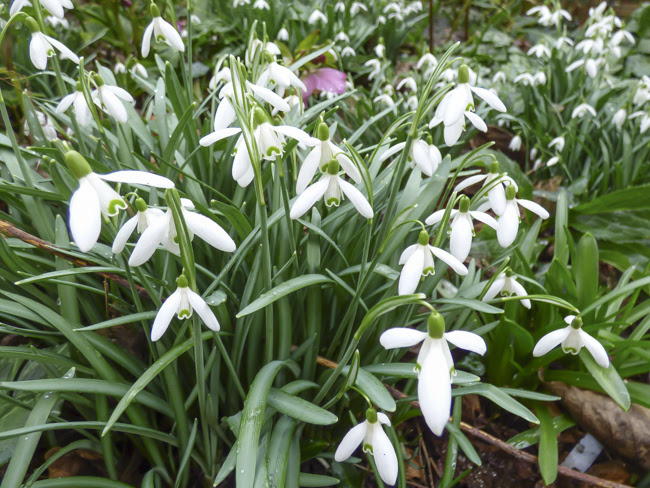 Last year our best producing variety was the old stalwart, Onward which we find to be reliable. Kelvedon Wonder was OK and maybe it is unfair to compare this with Onward as we buy a very large packet of Onward seeds and so have more plants to harvest. Ambassador which is a tall growing variety didn't perform very well at all. This year we will only be sowing Onward. One thing we make sure of is that the peas never run short of water. They are always top of the to water list and given a good soaking at each watering. The weed control fabric maybe helps conserve the moisture especially when the plants are small. The two varieties of Mangetout were not particularly impressive although it was novel to have some yellow ones. This year we are trying a variety called Delikett which doubles as a sugar snap and a mangetout and Oregon Sugar Pod - a mangetout. We managed a plot visit today in the bitter cold but it was worth it. Just what we need for a lovely warming stew. 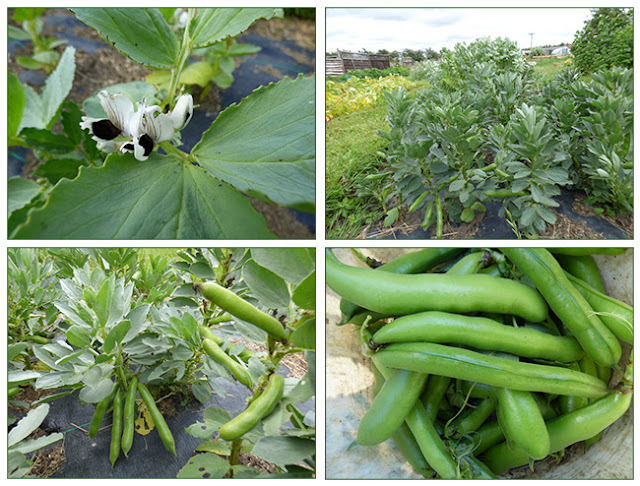 We grew three types of bean last year, broad beans, runner beans and climbing French beans. All provided us with more than enough to meet our needs. 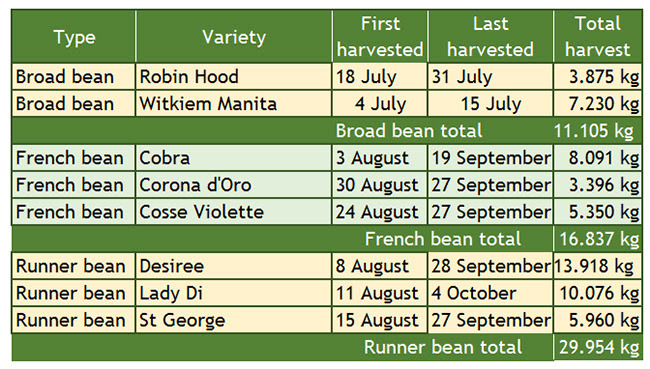 We grew two type of broad bean Witkiem Manita and Robin Hood. Robin Hood is a smaller growing plant that produces smaller pods which accounts for the difference in yields. 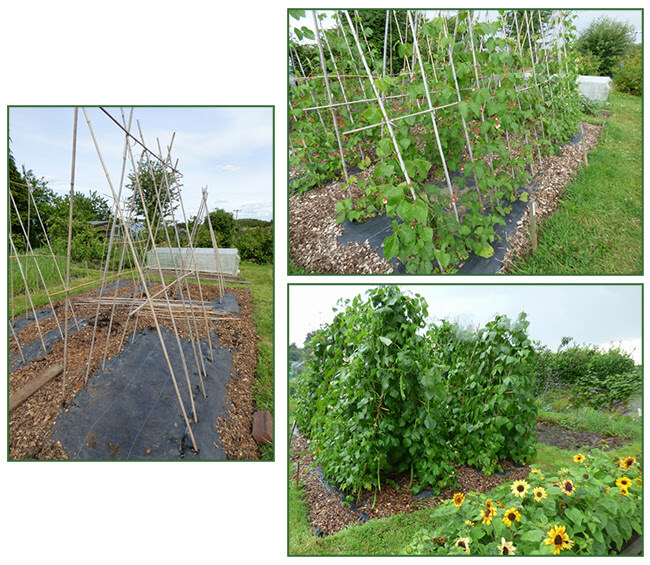 In the photo on the top right you may be able to spot that the plants growing at the back are taller and the photo on the bottom left shows how the bean pods differ in size. The photo on the top left shows the flower which always reminds me of a bumble bee. Have you noticed what a beautiful perfume the flowers have? You will also notice that the leaves are crimped by weevils. We always start all our beans in pots or modules in the cold greenhouse. Two seeds are planted in each pot and if they both germinated the two plants are planted out as if they are just one. 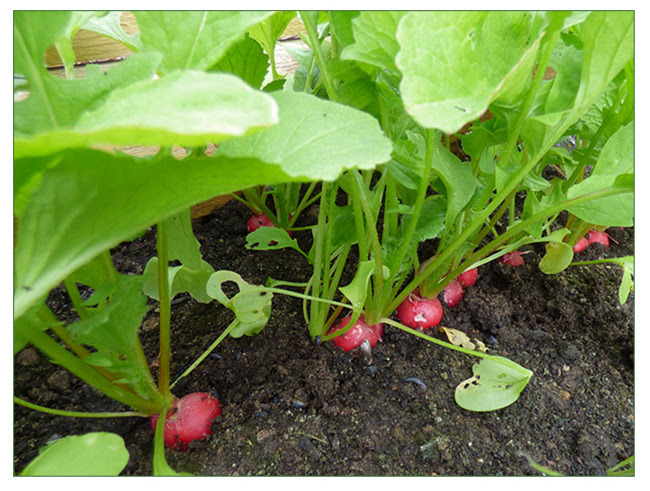 Transplanting rather than sowing direct gives the plants a better chance of surviving weevil or slug attack. You will notice that all our beans are planted through weed control fabric. Last year we abandoned the dwarf French beans in favour of the climbing varieties and now their is no going back. 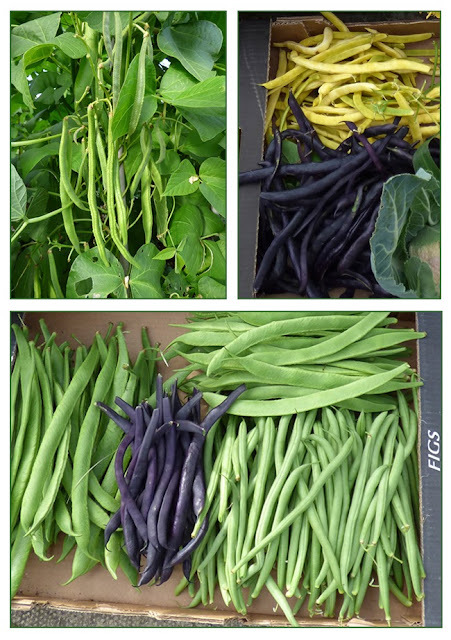 The runner and climbing French beans were all grown on one bed with each variety allocated ten canes up which to grow. 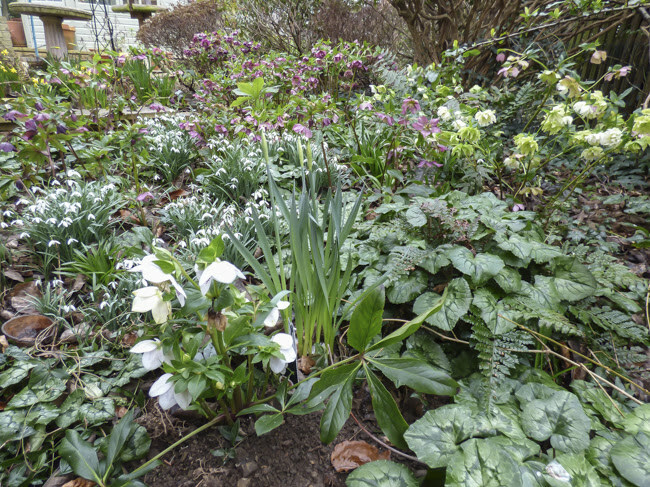 When first planted out we feared that we would have a crop failure as the slugs homed in on the new plants and shredded the leaves. Fortunately most of the growing tips survived and grew away and in the end produced more beans that we needed, both to eat fresh and freeze, so this year we may cut down on the number of plants. 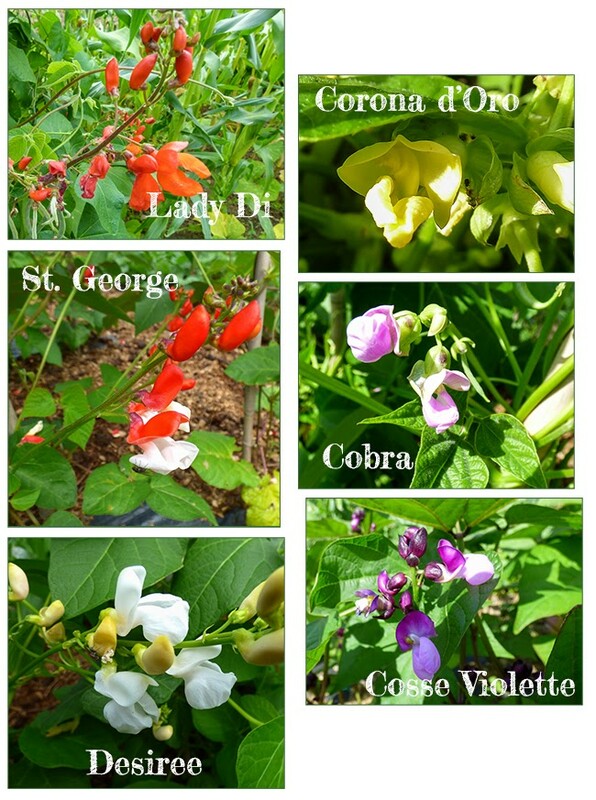 To be honest we grow several varieties as much for the variety of flowers as much as for the beans. 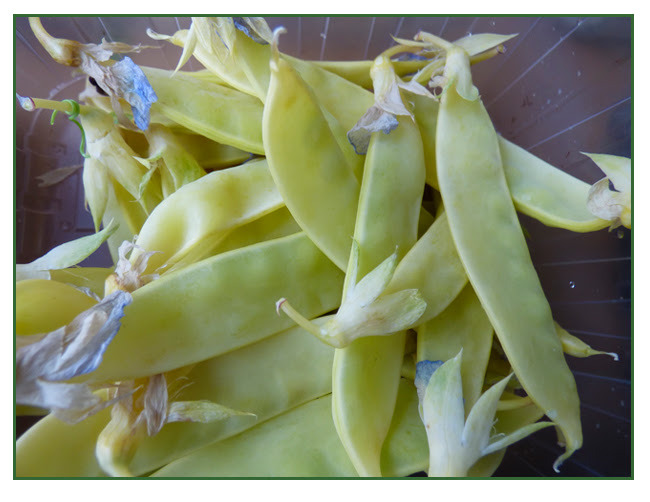 The yellow climbing French beans were slower to grow and the plants weren't ever as lush as the others but we still managed a reasonable harvest. We will be growing a runner bean called Celebration this year in place of Desiree but more for a change than any other reason. Other than that we will be growing the same varieties as last year. 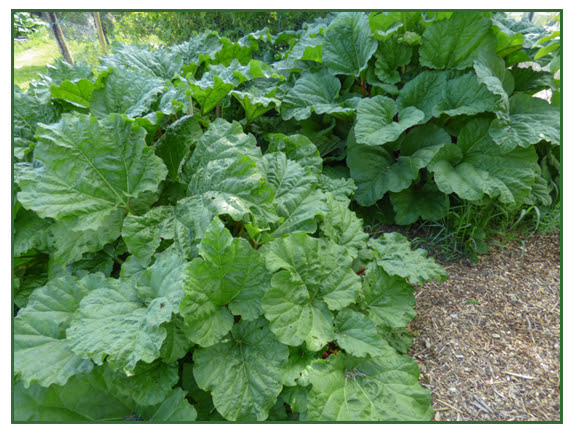 To complete my posts covering fruit performance last season I am going to start with something that technically isn't a fruit - rhubarb. We started pulling sticks of rhubarb early in April. We never force our plants so some may think that is early. The secret to early picking is in the variety and Timperley Early is one of the first to produce stems. In fact ours is already producing new growth. 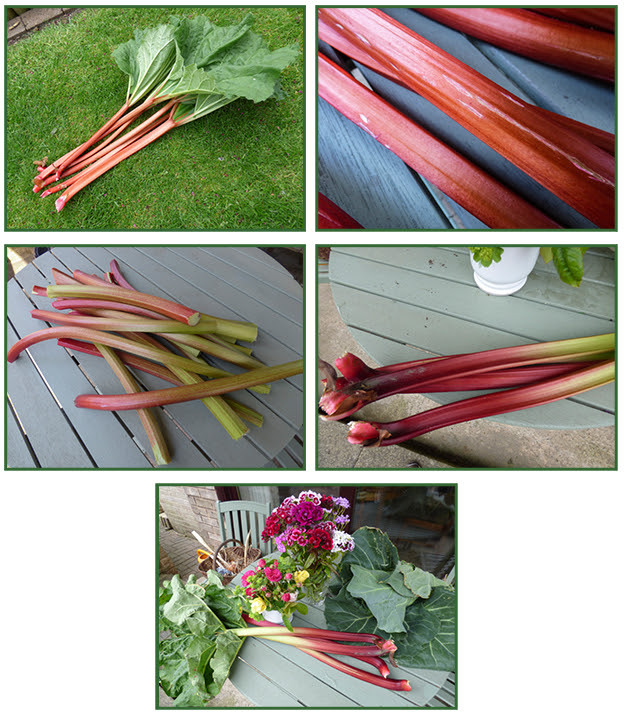 We picked the last stems in June as by this stage many other fruits were coming into production and we had frozen enough rhubarb for later in the winter. We always leave plenty of stems on the plants which helps to keep the plants growing well. This year we bought some roots of a new variety - Poulton's Pride. 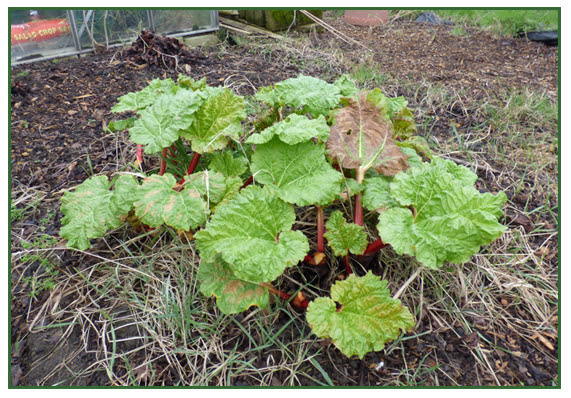 This variety is reputed to be the longest cropping rhubarb and should crop up to November. 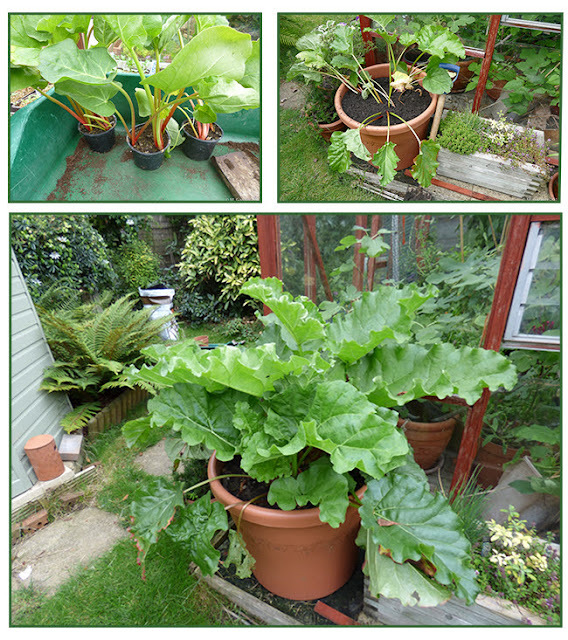 The three roots were potted up and gradually moved on to a large planter where they are building up strength until we decide where to plant them - if they seem to enjoy life on the container they may even stay there. 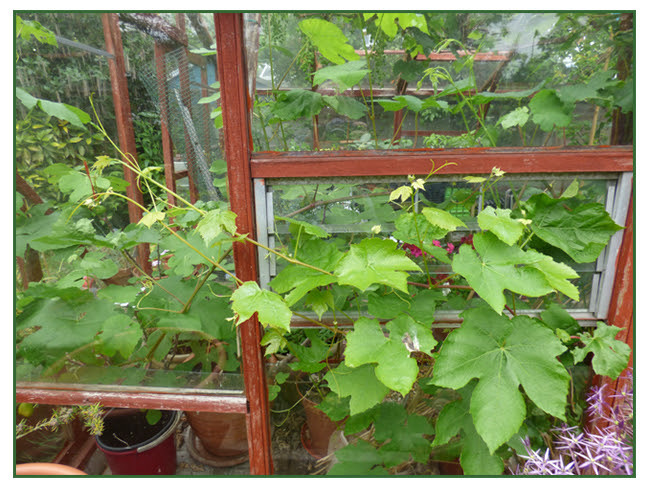 We have a well established grapevine - Himrod -in the garden greenhouse. This needs a stern hand as if left to its own devices it would fill the greenhouse and beyond as it will quickly find an open window to escape from. 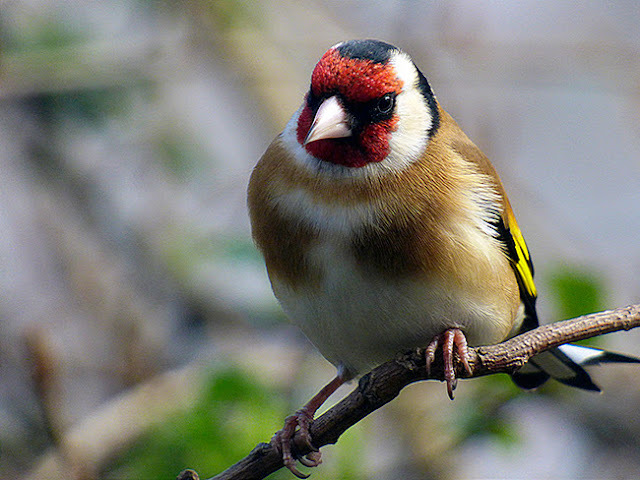 In fact it has been known to head out of a roof vent and then scramble up a nearby tree. 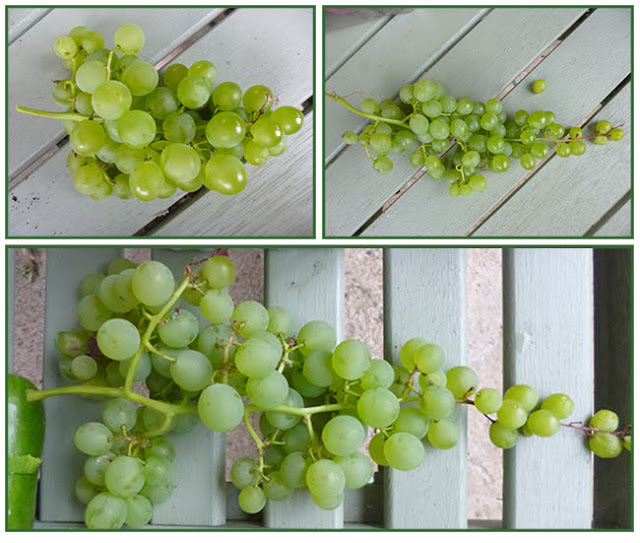 As long as it is kept in check it provides useful shading should we have a hot and sunny summer and has the added benefit of reliably producing lots of sweet seedless green grapes. 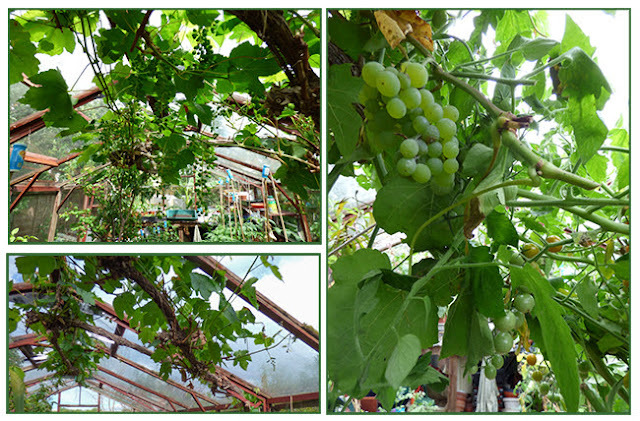 We haven't weighed the harvest as we usually just pop up to the greenhouse to pick a bunch of grapes whenever we fancy. 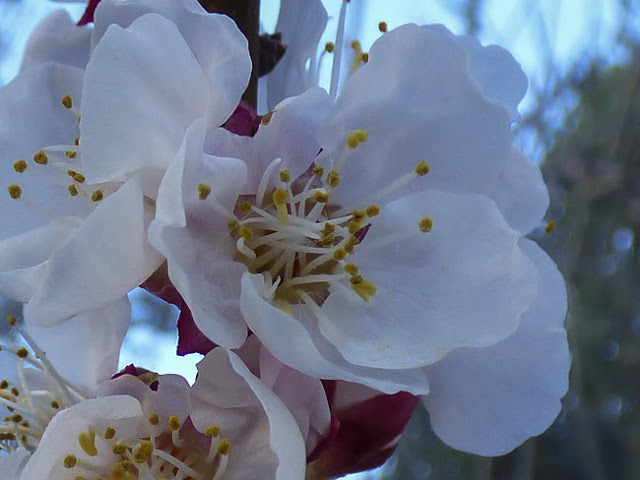 The bunches are not of uniform shape as I long ago decided that pretty bunches of grapes were not worth a stiff neck and the collection of the removed grapes down the neck of whatever I was wearing. As an experiment we planted a couple of vines - Madeline Sylvaner and Boskoop Glory - on the plot which although they have produced grapes these haven't swelled up to an edible size. I think maybe we need to be a bit more ruthless when removing some of the bunches. Finally tucked just inside the garden greenhouse in a large pot is out Brown Turkey fig. 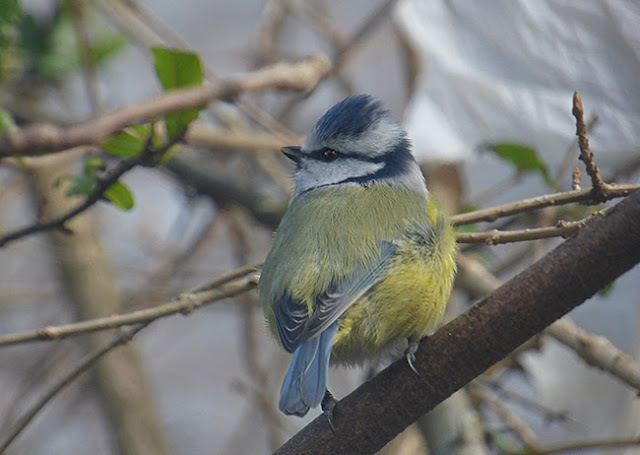 It isn't very large but does provide us with a few summer treats. 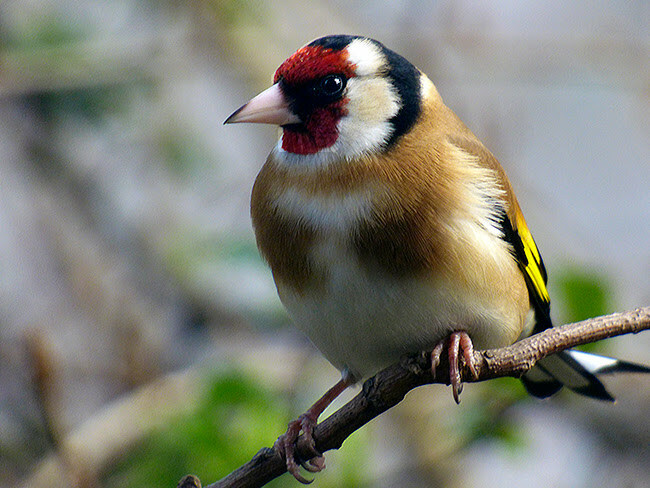 To be honest before we grew our own figs the nearest that I came to this fruit was in a fig biscuit. Now I wonder if next year we will have more figs, will our allotment vines produce edible fruits and will we be pulling rhubarb in November? This grow your own lark certainly keeps you guessing doesn't it?